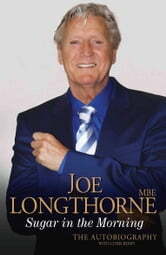 In 2010 I bought Joe's Official Autobiography at a book signing that Joe did at a branch of Waterstones. I was lucky to get the book signed and to have my photograph taken with Joe and to see him in concert at our local theatre in the evening. I have been a fan and friend of Joe since the late 1980's and have seen him in concert several times over the years. He has so much love for his wonderful fans.